If there's one thing we know for sure, it's that Oprah Winfrey can identify a great novel when she sees one. 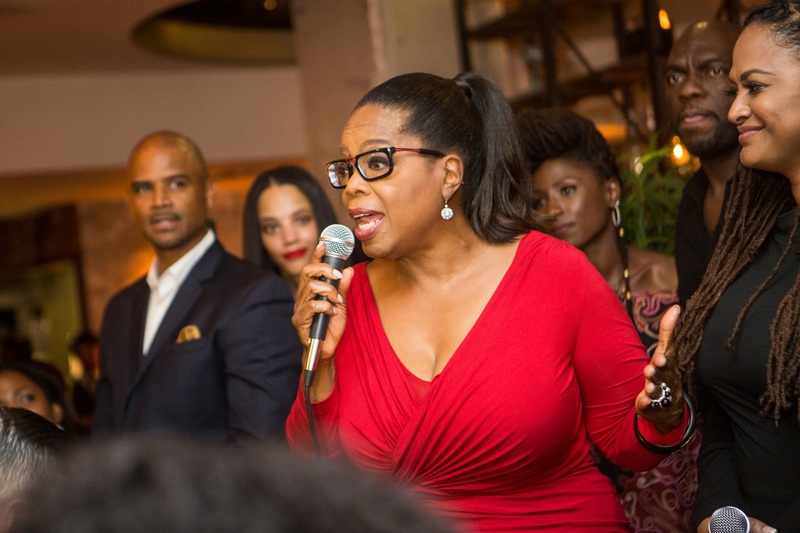 Oprah's new book club pick is The Underground Railroad by Colson Whitehead, so prepare to hear and see a lot more about this forthcoming novel. The Oprah Effect is real, y'all. The Underground Railroad follows Cora, a 16-year-old slave on a Georgia cotton plantation, as she flees toward freedom on the — quite literal — underground railroad. Publisher's copy likens Cora's journey to that of Gulliver, as each stop brings new people, places, and challenges into her already difficult life. If you've never read any of Colson Whitehead's work, The Underground Railroad seems a great place to start. Like his other novels — including The Intuitionist, Sag Harbor, and the Pulitzer-nominated John Henry Days — Whitehead's newest book deals heavily with race. That may be somewhat obvious to say regarding a book about slavery, but trust me: The Underground Railroad pulls no punches in describing the brutal realities of institutional racism throughout U.S. history. For years I felt that I wasn't ready to take on slavery. It's a huge topic, and I didn't want to mess it up. Plus, I knew I would have to put Cora and my other characters through horrific events in order to be realistic. I had to know I could get it right. Which is probably why it took me about 16 years to finally write it. Grab your copy of Oprah's new book club pick, The Underground Railroad, when it hits store shelves on September 13. Be sure to catch Whitehead on his latest book tour, which kicks off September 9 at the Bookmarks Festival in Durham, North Carolina.